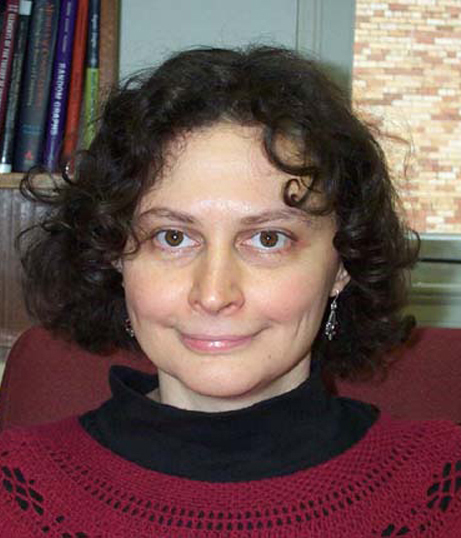 Dr. Gal's research interests are in computational complexity, lower bounds for complexity of Boolean functions, communication complexity, fault tolerance, randomness and computation, algorithms and combinatorics. Tight bounds on computing error-correcting codes by bounded-depth circuits with arbitrary gates, with K. A. Hansen, M. Koucky, P. Pudlak and E. Viola, IEEE Transactions on Information Theory , Vol. 59(10): pp.6611-6627, 2013. Hadamard tensors and lower bounds on multiparty communication complexity, with J. Ford, Computational Complexity , Vol. 22(3) pp. 595-622, 2013. Three query locally decodable codes with higher correctness require exponential length, with A. Mills, ACM Transactions on Computation Theory , Vol. 3(2): 5, 2012. Lower bounds on streaming algorithms for approximating the length of the longest increasing subsequence, with P. Gopalan, SIAM Journal on Computing Vol. 39, No. 8, pp. 3463-3479, 2010. The cell probe complexity of succinct data structures, with P.B. Miltersen, Special Issue of selected papers from ICALP 2003, (received EATCS Best Paper Award) Theoretical Computer Science, vol. 379, 2007, pp. 405 - 417. Invited talk on "The cell probe complexity of succinct data structures" at the "Nexus of information and computation theories" program at the Institut Henri Pointcaré, Paris, France, February 2016. Invited talk on "Combinatorial batch codes" at the "Coding and Information Theory" workshop at the Institute of Mathematical Research at Hong Kong University, December 2013. Invited talk on "Locally Decodable Codes" at the "Group Testing Designs, Algorithms, and Applications to Biology" workshop at the Institute for Mathematics and Its Applications (IMA) at the University of Minnesota, February 2012. Associate Editor, ACM Transactions on Computation Theory. Member of the Scientific Board of the Electronic Colloquium on Computational Complexity (ECCC). Member of the Conference Steering Committee for the IEEE Conference on Computational Complexity (3-year elected term: 2004-2007). Guest Editor of the Journal Theoretical Computer Science for the Special Issue of ICALP 2006. Guest Editor of the Journal Computational Complexity for the Special Issue of the 2005 IEEE Conference on Computational Complexity. Particpated in several projects of interdisciplinary reearch, most recently on codes for distributed storage. Gave several invited talks at interdisciplinary conferences, including the invited talks listed above at the "Nexus of information and computation theories" program at the Institut Henri Pointcaré, Paris, France, at the "Coding and Information Theory" workshop at the Institute of Mathematical Research at Hong Kong University, at the "Group Testing Designs, Algorithms, and Applications to Biology" workshop at the Institute for Mathematics and Its Applications (IMA) at the University of Minnesota.